Pretty stuff, PJ! I like that jasmine up the tree. 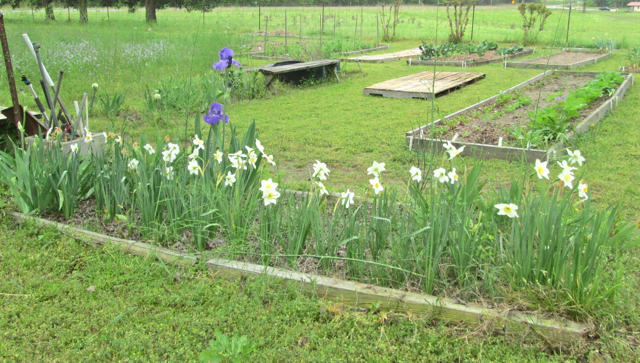 Some late daffs are blooming next to the garden and the first iris has come up in that bed. Can't remember the name of the iris but it's been there a long time. There are also a few stray volunteer asparagus in there too. 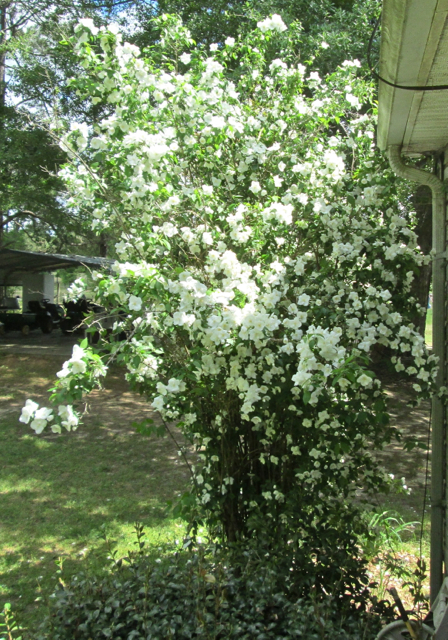 The 'Natchez' Mock Orange is just starting to bloom but I'll wait until it's in full glory before I take a pic. More good scents coming! 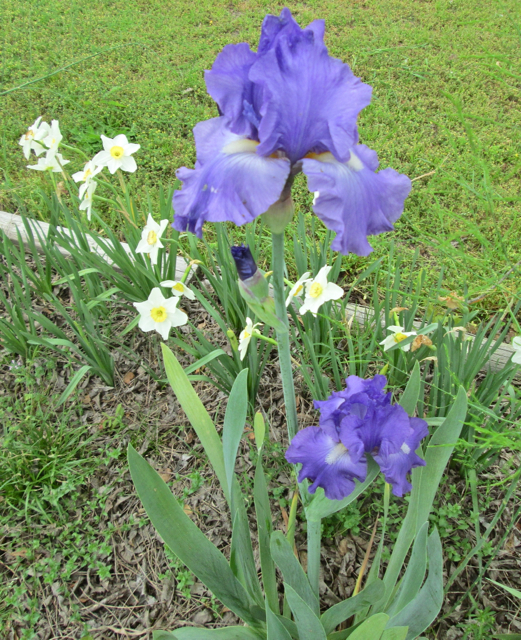 Love iris; that’s a beauty! 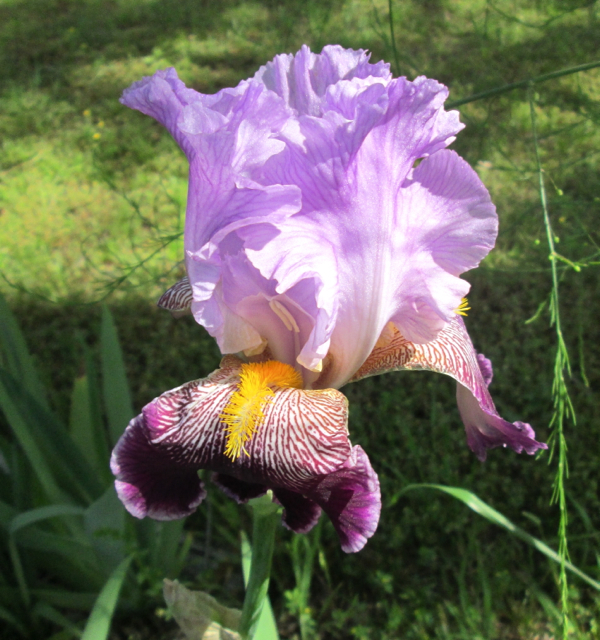 Here's another iris (another name I can't remember) that opened yesterday. That's why I always have my camera with me in the garden. The morning light was coming through the tree like a spotlight. Wish I could capture the number and varieties of bees in the fruit and pollinator garden. Jane.....sending oohs and aahs your way. The Mock Orange (Philadelphus x 'Natchez') behind the house is in full bloom! I really do need to do some pruning when it fades out but it's glorious right now. Meanwhile down below the garden the Wisteria 'Amethyst Falls' is starting to bloom. 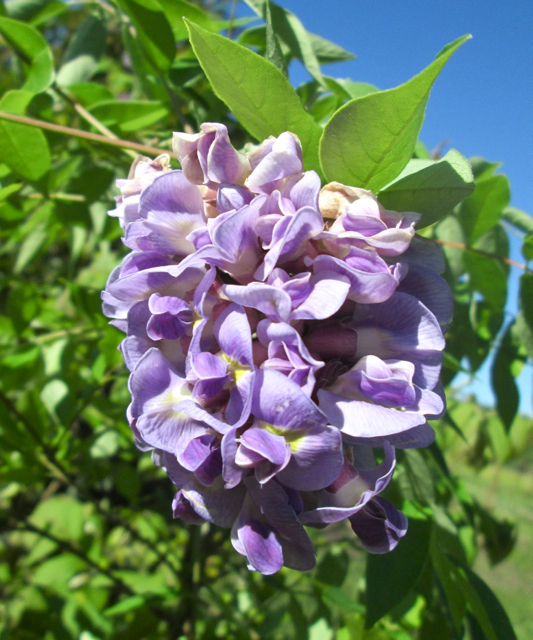 It blooms later than the regular wisteria in the area. This is a somewhat compact, less rowdy Wisteria (if one can ever call Wisteria that!) and I have seen one of these pruned to a standard (single stem) where it looks like an umbrella. I missed pruning this one last year so it's shape is starting to look straggly with some vines creeping out into the yard. 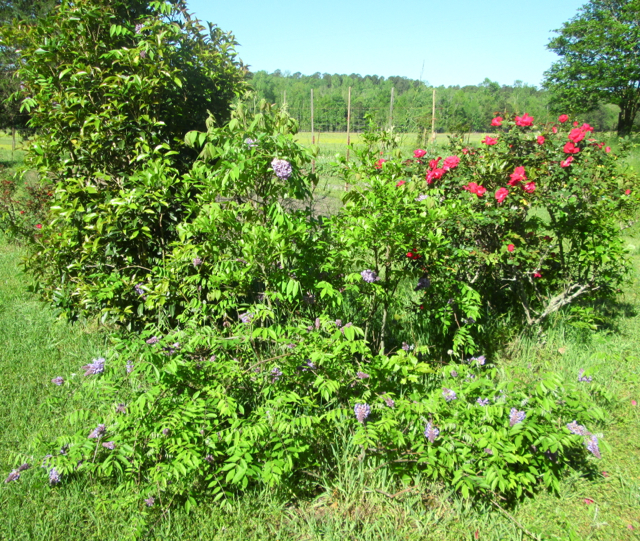 This morning I found a few wisteria blooms peeking out from the tea olive to the left and cut that wayward vine off! Love wisteria, despite doing battle with the one on my parents back patio pergola every year. Just beautiful, but wow could it get to doing damage quickly if it wasn’t hacked back every year. I still miss all the old fashioned blooming shrubs like viburnum, mock orange, lilacs, forsythia. Just can’t take the heat here in Florida.